With everyone joining the R.I.P. challenge, I just had to base my Friday Finds this week around the lists of fabulous books people have chosen to read for the challenge. 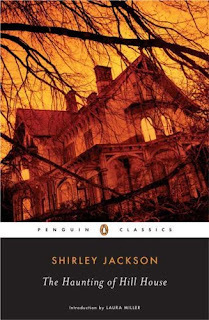 1) The Haunting of Hill House by Shirley Jackson. I found this book over at Caitlin's site Chaotic Compendiums. It was originally published in 1959 and was made into a film a few years ago. Here is the blurb from Amazon. Although Eleanor's initial reaction is to flee, the house has a mesmerizing effect, and she begins to feel a strange kind of bliss that entices her to stay. Eleanor is a magnet for the supernatural--she hears deathly wails, feels terrible chills, and sees ghostly apparitions. Once again she feels isolated and alone--neither Theo nor Luke attract so much eerie company. But the physical horror of Hill House is always subtle; more disturbing is the emotional torment Eleanor endures. Intense, literary, and harrowing. 2) The Seance by John Harwood. I found this book in Crystal's Library Loot over at My Reading Room and was intrigued enough by the cover to look it up. Here is the blurb from Amazon. 'Sell the Hall unseen; burn it to the ground and plough the earth with salt, if you will; but never live there...'. London, the 1880s. A young girl grows up in a household marked by death, her father distant, her mother in perpetual mourning for the child she lost. Desperate to coax her mother back to health, Constance Langton takes her to a seance. Perhaps they will find comfort from beyond the grave. But that seance has tragic consequences.Constance is left alone, her only legacy a mysterious bequest will blight her life. 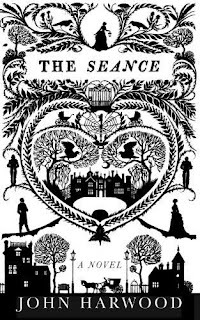 So begins "The Seance", John Harwood's brilliant second novel, a gripping, dark mystery set in late Victorian England. It is a world of apparitions, of disappearances and unnatural phenomena, of betrayal and blackmail and black-hearted villains - and murder. For Constance's bequest comes in two parts: a house, and a mystery. Years before a family disappeared at Wraxford Hall, a terrifying stately home near the Suffolk coast. Now Constance must find the truth behind the mystery, even at the cost of her life. Because without the truth, she is lost. It is one of her possible reads for the RIP challenge. Rae Seddon, nicknamed Sunshine, lives a quiet life working at her stepfather's bakery. One night, she goes out to the lake for some peace and quiet. Big mistake. She is set upon by vampires, who take her to an old mansion. They chain her to the wall and leave her with another vampire, who is also chained. But the vampire, Constantine, doesn't try to eat her. Instead, he implores her to tell him stories to keep them both sane. 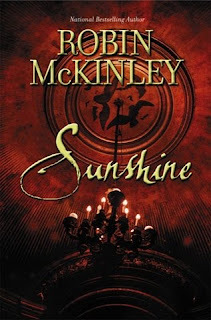 Realizing she will have to save herself, Sunshine calls on the long-forgotten powers her grandmother began to cultivate in her when she was a child. She transforms her pocketknife into a key and unchains herself--and Constantine. Surprised, he agrees to flee with her when she offers to protect him from the sun with magic. They escape back to town, but Constantine knows his enemies won't be far behind, which means that he and Sunshine will have to face them together. 4) Witch by Barbara Michaels. I can't remember where I found this one, so forgive me and let me know if it was your blog. Barbara Michaels also writes as Elizabeth Peters better known for the Anita Peabody series. Here is the blurb from Harper Collins. For Ellen March, the secluded old house nestled in the pine woods is more than the dream home she's long been searching for. It's an escape, a chance to start over, to forget the pain of her failed marriage and enjoy the restful pace of small-town living. Here, too, is a golden opportunity to get to know Norman McKay, her handsome and worldly new neighbor. But after dark in Ellen's "perfect" house, strange visions invade her restless mind: silent strangers moving through the twilight shadows, the ghostly figure of a woman and a spectral white cat. Ellen came here hoping to bury the past, but something terrifying has taken its place. Her safe haven has become her prison . . . and there is no escape. So there you go, some interesting finds if you have not already made your list for the RIP challenge. What did you find this week? Looks like some really good books you found. I read Haunting of Hill House last year. The others sound very interesting. Some really excellent looking books there *rubs hands with glee* Good finds! Ooh, silly question, is "The Haunting" the film of The Haunting of Hill House? I assume so hehe ;-) I didn't know it was a book. I *have* to read that now. You've picked some great reads there. I love haunting, gothic books. Good picks. You can't go wrong with Shirley Jackson! All of those might be a little too creepy for me! I do love the cover of The Seance, though. A fascinating list! I love Shirley Jackson. Maybe I will try that one. I'm in the challenge too but only for the mysteries and thrillers. I can't handle creepy. It's weird but I liked all the cover art on these books. What a great idea profiling theses RIP titles. I've wanted to read Haunting of Hill House for years, and Witch looks good too. BTW: I liked Seance a lot. I don't think I'd be able to sleep after reading those books! That's a great list. We briefly discussed “The Haunting of Hill House” in one of our lectures at my old university, but I haven’t read the book yet. I hope that I will get to read it in the future. I am currently reading “The Ghost Writer” by John Harwood and so far, I must say that I really like it. “The Seance” sounds intriguing. Great finds! I found “Immortal” by Gillian Shields over at Melody’s Reading Corner. I have Sunshine on my list too! It looks like such a fantastic book! 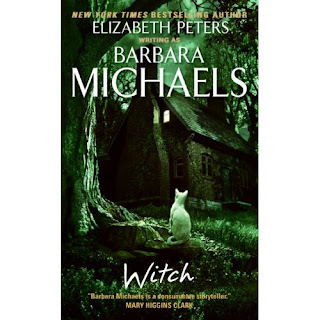 I have a Barbara Michaels book over here too but I can't remember the name of it :/ Very similar cover, but it's not Witch.. I've read the first book, but the rest look really good. Great finds! These all look so great -- have a wonderful weekend. Oh--looks like some spooky good reads, happy reading! Oh my, Shirley Jackson's the one who wrote the short story The Lottery right? That's one of the most poignant and most well-written short stories I've ever read. Amazing writer. Great books for the challenge, Viv! I've got WITCH in my wish list. I can't wait to hear your review! I am the one who posted about Witch... lol.